RIO DE JANEIRO – Just steps away from the sands of Ipanema Beach sits the USA House, offering athletes, families, U.S. Olympic legends, sponsors and donors a home away from home during the games along with a panoramic view of Rio de Janeiro from the rooftop deck. Valley residents Paul and Marla Dorman, in town for their son Sam’s diving competition, did not know what to expect before they arrived at the house for the first time. The USOC took over Colegio Sao Paulo to create the USA House. The seven-story Catholic school, which serves more than 600 students from ages three to 17, will act as the hospitality haven for Team USA throughout the Olympics. The USOC and sponsors paid to renovate parts of the 50,000-square-foot building with a new air conditioning system, fresh paint and Wi-Fi that will stay behind for the students to enjoy after the conclusion of the games. While some countries open their hospitality houses to the public, others, including the U.S., China, Russia and Canada, keep them closed with an invite-only system. As visitors walk into the USA House they find a wall-sized picture of Team USA’s entrance into the Rio Games’ opening ceremony. Here, athletes who visit can sign their name on the image. This photo will later be rotated between Olympic training centers back home. “We are going to send it to each of our training centers in Colorado Springs, Chula Vista and Lake Placid and this gets displayed there in order to inspire our next generation of athletes preparing for 2018, 2020 and beyond,” said Lisa Reliford, U.S. Olympic Committee director of event services. A small podium sits in the house’s main hospitality room on the first floor. It is at this podium that Order of Ecos ceremonies take place, ceremonies that honor the coaches of medal winners. After winning an Olympic medal, an athlete visits the house and presents his or her coach with a USOC-created medal for inspiring them and helping them win. Another unique feature of the house is the Red, White and #BlueRoom. 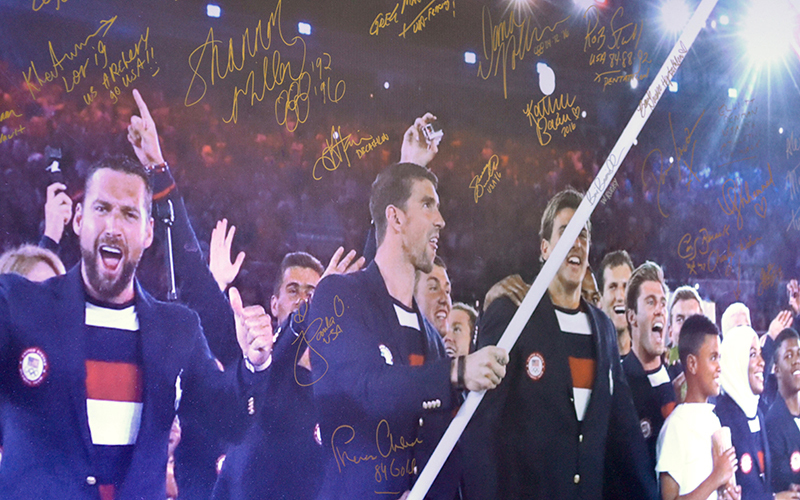 Team USA teamed up with Twitter for exclusive rights to social media content created during the games. The social media company is tweeting, hosting Periscope chats and creating Vines from athletes who visit the house. The room also features posters with some of the first tweets sent by popular Olympians including Ryan Lochte and Aly Raisman. 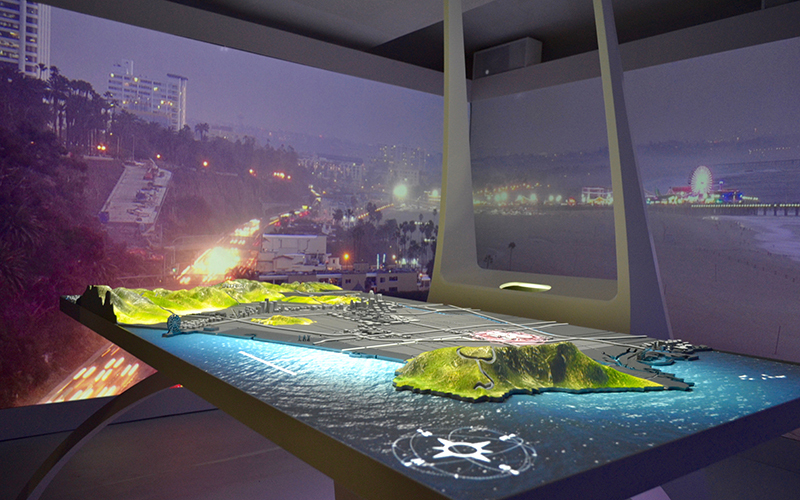 There is also a level dedicated to the efforts to bring the Olympics to Los Angeles in 2024, with an interactive 3-D model of what the games would look like if LA were to win the bid and get its first Summer Olympics since 1984. While the Games last just a little over two weeks, the USOC wants the legacy of the house to last long after the closing ceremony. In addition to the photo wall that will be sent to the Olympic training centers, athletes like Dorman are signing a blank wall for the students as a way to say thank you for letting the USOC take over their building.